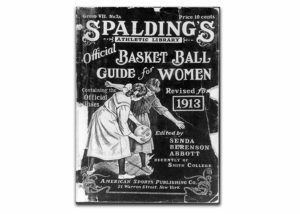 The Hall of Fame featured artifact is a 1913 Spalding Official Guide for Women’s Basket Ball. The guide was edited by Senda Berenson Abbott. She is considered the “Mother” of women’s basketball. She wrote the first rules for women’s basketball, having the first ones published in 1899. Senda was inducted posthumously into the Women’s Basketball Hall of Fame in 1999. Rutgers's C. Vivian Stringer (Class of 2001) joins the 1,000 win-club. She becomes the sixth Division I coach to reach the milestone.